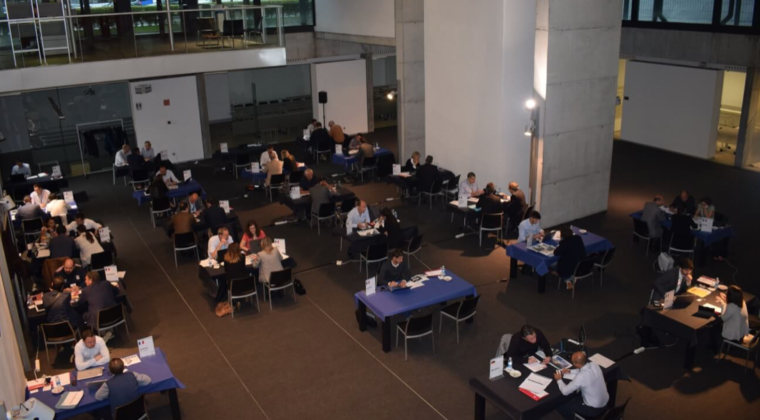 This week Metcoex has taken part in the tenth edition of the industrial subcontracting event Meetind, which gathered almost 30 companies from eight different European countries, such as France, Portugal, Poland or The Netherlands. The meeting, that took place in San Sebastián (Spain), was organized by the Chamber of Gipuzkoa. The goal of this event is to boost the internationalization of Spanish companies from different sectors, such as the Automotive Sector or the Energy Sector. Metcoex, as part of FAED Group, had the chance of meeting new professionals and industrial companies, expanding its partners throughout Europe. If you want to know mor about Meetind, please check this link in order to get more information (in Spanish). To improve the quality of our services, and provide a pleasant experience, please note that we use proprietary and third-party cookies. If you continue browsing the Site we assume that you accept the use of those cookies.